To overview the sequence coming into April (and a huge clearing last night in northern Europe which has opened the ‘April Gateway’ in a stream of purifying light) we’ll recap the March Equinox (March 20-21, 2019) which brought through another step of transmuting fear-based energies from around and within the Earth, confluent with another ripple of transformations on the wider galactic level, that peaked through the Equinox~Full Moon~asteroid vibrational alignment. Following on from the previous post about the lead-in to the Equinox, we’d like to fill this out a bit more, in regard to the ‘loosening off’ of non-ascended Carian (bird-beings) and serpent energies, and the awesome transformative sequence catalyzed through this phase, to open the way for integration of another pulse of higher dimensional ‘diamond ascension light’ into the Earth’s crystalline grids, flow lines and meridians. With the clearing of control-oriented Carians from strongholds in the Carina constellation, and their ‘anticipated and assisted’ return to the Golden Light frequency, here in 3D reflection, on March 2nd this beautiful hawk landed outside the window, tucking one foot up in a serene, relaxed pose, with sublime light energies flowing through this bird as it gazed through the window. (It’s rare for hawks to perch so close here; every time they have done so, it signals and coincides with Carian higher light transformations). Preceding the hawk’s arrival, I had been seeing and photographing orbs of green bird-beings for a couple of weeks. The orbs tended to be murky and filled with angry vibrations, but following the hawk’s signalling of Carian transformations, over the next two weeks orbs of ever-increasing light in the emerald, jade to lime green spectrum appeared continuously. Within the next week, some of them were showing wonderfully clear, high vibrating iridescence, like this glorious shimmering lime-green orb on March 12th, 2019. Transcendent iridescent lime-green Carian orb, March 12th 2019. In the previous post, we mentioned that on March 18th, Archangel Gabriel cleared a serpent energy and 4D-tech devices from around the Moon prior to the Equinox, and will share here a photo of the serpent as it reflected in the clouds, because it relates closely to what some ‘ground crew’ friends and I experienced on the Equinox. In the left-hand photo, the shape of a snake can be seen clearly in clouds above the Moon, biting into the head of a large being (ie; mind control). At right, Archangel Gabriel’s soul light wrapped around the Moon and removed a network of control devices (see previous post for close-up photos). In the days leading into the Equinox, much work went on behind the scenes/higher dimensionally to clear the way for maximum anchoring of high light frequencies and New Earth codes through the Equinox/Full Moon alignment, and it was a total joy to see this orb appear on March 19th, clearly showing the face of a green bird bathed in golden and rose light. This orb is below the two brightest stars in the sky, Sirius on the right and Canopus, alpha star of Carina, on the left. Rose-gold orb of Carian beings below Sirius and Canopus, March 19th 2019. Earth and Erra’mu, a planet of Canopus, have a soul relationship that reflects energies between the two, in what could be called ‘close quantum resonance’. Star family also refer to them as mirror nodes…and that the stars Sirius and Canopus also act as mirror nodes, as do many other planets and stars across the galaxy. (In The Divine River Flows, you can see an example of two orbs precisely ‘mirroring’ each other next to Canopus and Sirius at precise angles, working their energetic connection. I see and photograph this often, and last night for instance, while tuning in with them, two lightships flashed simultaneously right beside Canopus and Sirius). When enlarged, the Carian orb above reveals the face of a green bird-being in the foreground; the dark green V shape can be seen as her eyes (or if you’re attuning to our amphibious star-kin, a frog-like face can be seen overlaid on the bird’s, as the amphibious and aquatic star groups have also been involved in this metamorphosis of energies). On the Equinox, we (gathered on the ground and ‘above’) were directed to align light through a site we’ve visited several times, a major ancient node in the Darling Range (south-western Australia) with a portal formerly under reptilian control. We anchored an initial transformative alignment there on the June Solstice of 2018 (see the Pyramid Network Update), as part of the renewal of an alignment flowing south to Antartica, via a higher dimensional underwater pyramid off the southern coast of Western Australia. The unlocking of serpent energies on that Solstice translated through to 3D physical in the form of a Southern Death Adder (Acanthophis Antarcticus) suddenly appearing in the open next to a ‘key stone’ I’d been guided to focus with/fill with love (it was extraordinary and beautiful to see the adder lay peacefully basking in the high light vibrations). This Equinox, as we worked our way through three activation/clearing sites, an empty snake’s skin was discovered by one of our group at the same spot. Energies were still heavy in that location, but like the ’empty residue’ of the shed skin, shifted more easily than last year, without the depth of hold they previously had. This perfectly symbolizes the wider scenario around the Earth; while at this stage people can still become influenced or mesmerized to some extent by the residual echoes of energies that have had a deep hold on humanity’s collective psyche for thousands of years, those echoes are literally insubstantial. Layers of fear-based imprints have already peeled back, and been shed by some. While most ‘news’ and dramatic politicking might suggest otherwise, there’s an ever-growing, strengthening movement/momentum of true spiritual consciousness around this planet (ie; remembering the Oneness of all life, the sacred divine presence in ourselves and everything in creation) with a rising impulse (from star family, ‘grace pulse‘) to assist, share and connect freely, compassionately, peacefully, widely. The photo on the left above shows a symbolic White Flame purifying a cluster of ‘archon cubes’, which gradually shifted into a feline face as our Leonine and Feline star families brought their loving light through the skies and earth, another removal of networks and residues. Close by the snakeskin, the burnt, twisted trunk of a grasstree, that we could feel had absorbed a lot of heavy energies, on closer observation, had developed bark that looked like melted, fused scaly skin, wrinkled and sagging around the trunk as if it too was in the process of being shed. Many nature spirits gathered around us; in the right-hand photo, you may be able to see a little green face peeping between fronds near the centre of the image, and more faces subtly appearing at the left. The land felt peaceful and bathed in golden light when we left. The second stage of Equinox activations took us to a hillside that faces an entrance to an Agarthan light city of the 5D Inner Earth, which we’ll be able to share more about soon. The theme of the Equinox clearings continued as we were guided to an old burnt out tree, to align light through its hollowed interior. While standing inside the tree, a tiny lizard that looked like liquid gold appeared in front of me, and made its way across the charred surface that turned to silver in the light (silver light flows the vibration of transcendence). Through the gateway below, which we on the ground entered and left by, there was a tangible and visible dimensional shift (which I experience as a clearer, lighter, deeper, sparkling presence, as though everything is heightened…which it is, vibrationally speaking) that is also subtly visible in the photo below. If you look within the gateway, the definition of the landscape is very clear. Above the gateway the definition is blurred; it’s not due to distance, because if you look at the tree on the right, its trunk is clearer inside the gate than above it. With that tree, you can also see the effects of a slight spatial variance, as the trunk above the gate isn’t quite in alignment with the lower trunk inside the gate, it’s just a little further to the right. Gateway in Perth hills, Western Australia, March 21st 2019. Trinity/triune vibrations flowed through a third stage of Equinox activations, and continued through the remainder of March strongly in ‘threefold flame’ energies, such as these two lightships that flashed in alignment with specific stars on March 24th; one flashing white light that formed an (Arcturian) arc to the stars Adhara and Wezen in Canis Major, the other flashing golden-amber light near Saiph, between the stars Saiph and Rigel in Orion. Star brothers and sister from Mirzam have also come more to the fore now, in Ashtar Command operations. Orbs representing their soul light have appeared in the soft bluish-lavender to deep plum spectrum, and the orb below next to Rigel shows their energies, with some input from Pegasians, with the signature fine, high white-blue-mauve vibration of the Pegasus constellation. Mirzami-Pegasian soul light represented through an orb beside Rigel in Orion, March 24th 2019. During this phase, our Alpha Centaurian star brothers and sisters (who have themselves been through their own transformation journey of green Carian energies, from invasion to peaceful unity and freedom) have given much assistance and stability to the area, and their soul vibration appears below next to Alpha and Beta Centauri below the Southern Cross, as a large soft green orb rimmed with violet light. Alpha-Centaurian soul light orb next to ‘the Southern Pointers’, Alpha & Beta Centauri, March 25th 2019. Daytime hours continue to show many ships and ship clusters among the clouds, like the appearance below of a ‘donut-style’ disc sitting in a cloud bank, and a diamond outlined on the right on March 27th. Sirius and Canopus continue to do a tremendous amount of vibrational anchoring and steadying, with constant mirroring back and forth, such as in the two frames below, with an orb appearing over Canopus, then another flashing over Sirius, blue and gold reflecting to each other on the night of March 27th…or triangulating energies, represented with an orb hovering equidistant above them, forming the apex of a triangle. With so much preparation, April has begun with a multi-faceted mission where particular lightships, including the Meri’Ashar and many kindred ships and crews, working in coordination with light groups on the ground and Agarthan support, have ‘rendered obsolete’ (in Ashura’s words) a major underground facility in northern Europe on April 2nd, 2019, that we’ll share more about in the next post, as this particular focus rolls out across the planet through this month’s restorational golden and diamond frequency flows. Coming into October 2018, we’ve seen an increased focus of Aquatic Soul Groups from the higher dimensions of many oceanic constellations, here to assist a deep phase of clearings of the ‘child harm web’ that has been in place for thousands of years around this planet, washing out hooks and imprint-networks of suppression/oppression of the Inner Divine Child within humanity, radiating and transmitting sacred geometric sound and light patterns ~ particularly through the ‘liquid light-wave’ of the Sixth Dimension, which can then crystallize in the Fifth, strengthening the subtle emanation of the New Earth and its 5D crystalline light grid into the Fourth and Third dimensional layers. If you’re finding your attention, meditations or dream-visions leaning toward dolphins, whales, mermaids/men, amphibians, fish or seashell connections recently, or feeling a deep attraction toward blue-green and aquamarine colours, consider that you may be vibrationally attuning to this great wave as it dissolves oppressive holding-devices and energies, opening the way for deeper planting of the Seeds of Life…or indeed, deeper awareness and reception of the crystalline light emanations of the Seeds of Life radiating constantly from the Ascended Earth, which already exists just beyond the perception of this ‘time-frame’, calling to our hearts, to the light-potential within our DNA, RNA and cellular consciousness, to align and fully converge this co-creation of Love. The sacred geometric form of the Seed of Life contains all the potential of the flowering of Love, the Flower of Life which is contained in its centre expressing through the Sixth Harmonic, six circles ringed and interweaving around a central ring, the Seventh Circle, or 7D flow of Divine Grace through the 6D hexagon-star-flower light template…the hexagon being the most stable structure in nature, it settles the incoming liquid light wave into perfect equilibrium, inherent harmonies that reflect into the 3D form level in the beautiful six-point forms of snowflakes, crystallized water geometries (see this post) and in the cymatic patterning of sound frequencies. The Seed of Life’s structure is ‘built’ upon the circle, the Oneness, expanding through the Vesica Piscis with its central mandorla, into the triquetra, through the double mandorla, and in the complete Seed also vibrating the triplet numbers 888, as three infinity symbols crossing in the centrepoint, with a total of 12 crossing points around the centrepoint, the zero-point which is also the 13th, through which Ascension Light spirals into and through the 12 dimensions (and their sub-layers) ‘below’. Oceanic star family groups currently interweaving the array of blue-green, aqua and teal frequencies around the planet would like to share their energetic presence here through a series of photos that began on September 28th, with the clouds parting across the sky in the shape of an undulating river from horizon to horizon, representing the eternal Source Flow, through the Celestial River of this galactic region, the constellation Eridanus. Orbs and small ships of blue and green light began to flash within the river, as many star groups symbolized and projected their energies. Orbs of all shades and shimmers of blue and green continued flowing through the Celestial River, as Aquatic soul groups poured in around the Earth that night, joining in vast numbers with our Sirian, Tau Cetian (from Cetus the Whale constellation), Pleiadian Aquatic and other fluidic-light star families already deeply involved here with assisting Gaia’s Shift in various ways and specialized assignments. Brilliant amber-gold energies came through late in the night, from star groups of related aquatic/amphibious characteristics whose home-worlds neighbour Eridanus, in the ‘fiery’ constellations Fornax and Phoenix…through which the radiant golden light of the Halorin Lights stream into this galaxy, as can be seen imbued in the intensely golden Fornaxian orb below ‘beside the river’ (with a small green lightship above it). Within a few days, this blue-green wave felt deeply circulating within and around the Earth’s energy field and light-grids, with communications also coming from soul/consciousness collectives who step their vibrations through to 3D density in the form of crystals, and in this case specifically Green Flourite and Green Aventurine, to conduct the blue-green higher dimensional flow through these crystals around the Earth…those that are within the ground, and those brought to the surface to collaborate with humans in support of shifting dense energies and anchoring light. All crystals and gemstones in the blue-green range are assisting with this flow overall, with Green Flourite and Green Aventurine specifically working with healing/wholing and freeing the Inner Child energies at this time. On October 2nd, star family worked over a valley not far from here, connected to an Agarthan portal and star base, to unhook the first of what appear in the lower astral layers as black cubes that have been holding archonic ‘innocence/inner-sense suppression grids’ in place. (The ongoing transmutation of the Martian lower density grid and associated connection points on Earth referred to in previous posts has blessedly opened the way for removal of this network). While walking the green-blue light into the valley, with the ships above, this release reflected into a photo in which many dimensional overlays can be seen (3-4-5D), as a black cube being ‘tipped up and out’ of the Earth, with what appears like a child’s stick figure drawing running out to the upper right of the cube. There are many energies in this photo, with purple light moving down the trees at the left, and a tall green feminine figure standing left of the purple flow, radiating love. A beautiful Aboriginal spirit guardian was present throughout, and I heard/felt she was there to flow this release and transformation through her soul collective in this area of Western Australia. Nearby, the face of a guiding lioness in blue light (Sirian Lion Being) could be seen among a group of beings beside a pyramid-shape piece in a granite boulder. Overhead, one of the lightships flashed into view above a cloud for a moment, as it guarded this freeing process, being implemented in sequence around the planet now. Our Aquatic friends made another appearance on October 4th, with their vibration coming into focus where a cloud formed into an Acamarian amphibious face with large eyes and a beautiful smile. Behind this face the outline of the head of an owl formed, representing a Pleiadian guardian-ship of these gentle amphibious ‘sound frequency technical specialists’. As the cloud faces dissipated, a small ship became visible in that spot. As this ship moved upward and flashed brightly, a larger disc-shaped ship formed below, with a soft bubble-like quality reflecting the soft, sensitive nature of these beings and their watery lightships, that radiate intricate harmonizing geometries of sound. These beings ask us to open our hearts to the deep love, harmony and peace that is present within and all around us in every moment, and they bring the awareness and joy of this presence through very light, relaxed attention to sound….the sound of wind among leaves, the sound of waves shushing over sand….or within our own bodies, the sound of our own breathing, this soft sound continuum that is tonal in very subtle ways, which become more defined when we vocalize through speaking, humming or singing. And they say, feel how these sounds vibrate in our chest, through our heart centre, and that this vibration when imbued with Universal Love and feelings of Well-Being, creates most exquisite sound-wave patterns and geometries that emanate naturally into our environments, to the people and beings around us. 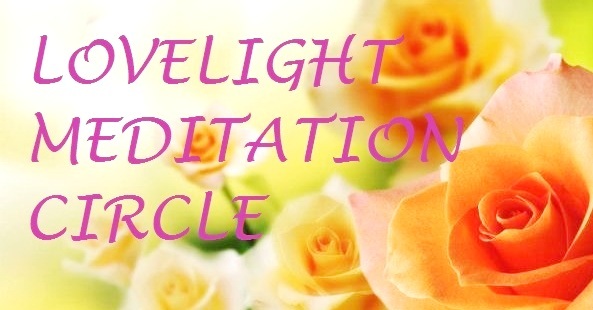 PS: A DNA Activation within this ‘blue-green light theme’ will be posted at the LoveLight Meditation Circle (very soon!) for the 11-10-11 Gateway, for anyone who would like to join in with this and/or regular weekly meditations to assist planetary ascension.